Half of British workers are left feeling demotivated, deflated and stressed out at the thought of going back to work after their holidays. But lack of motivation and drive can strike us at any time of the year leaving us feeling stuck in a rut and not sure how to get out of it. Hypnotherapy can be a highly effective way to get our mojo back, in particular the solution focused style of hypnotherapy that we use here at Inspired to Change. This refreshing approach helps shift our mindset away from what we don’t want and start focusing on what we do want. When we do this it allows our brain to focus on coming up with solutions to move us forward rather than focusing on problems which keeps us stuck in that rut. When Prith finished her hypnotherapy sessions with Ali in our Maidstone clinic she was delighted at how hypnotherapy got her back on track with her business goals. Over in our Northamptonshire clinic in Thrapston Sarah had been struggling to maintain her motivation after being off work with an illness. She hadn’t been able to work for over a year and although her physical health had improved enough for her to go back to work she found her motivation lacking. “I have regained my self confidence and enthusiasm for life which had been gradually worn away through life’s daily trials. I have become more organised and have realised that negative beliefs are only beliefs which can be changed if you really want to change them. Caroline has erased years of worry which had built up in my subconscious mind which was then impacting on my ability to do things I want to do”. In the course of their hypnotherapy sessions Prith and Sarah learnt something of how our brains work, of how we can use that knowledge to actively create our own motivation regardless of the situation we are in. They were given techniques to help them shift their mindset away from negative thinking so that they could focus more on achieving their goals. When we know how our brain works we can actively use it to achieve what we want. Our brain is a very powerful processor but if we aren’t giving it the right instructions it doesn’t know what to do. When we’re feeling stuck in a rut we tend to focus on that rut, on the problems we find ourselves in. Our brain puts all it’s efforts into what we focus on so by spending our time focusing on the problems ironically our brain is just working on giving us more of the same. Which is why solution focused hypnotherapy helps people to move forward so quickly. After just three sessions with our Peterborough hypnotherapist, Gary, Natasha had moved forward too. So if you are feeling stuck in a rut and just don’t know how to move forward solution focused hypnotherapy could be the answer. 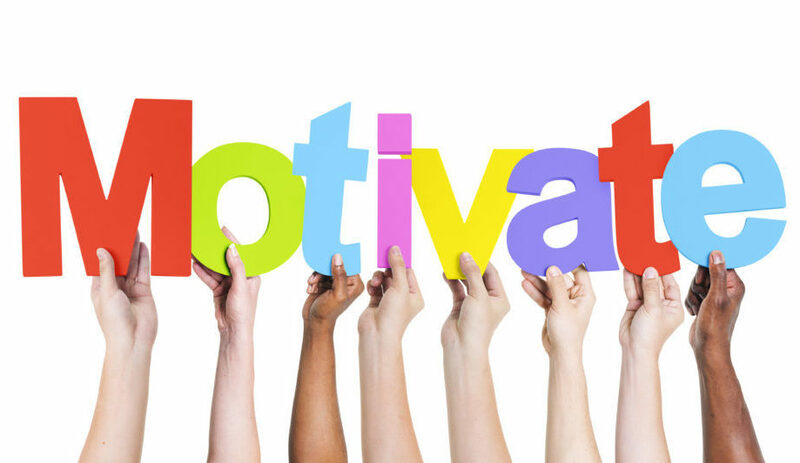 To find out more about hypnotherapy could help build your motivation contact your nearest Inspired to Change Hypnotherapist and book your FREE initial consultation today.